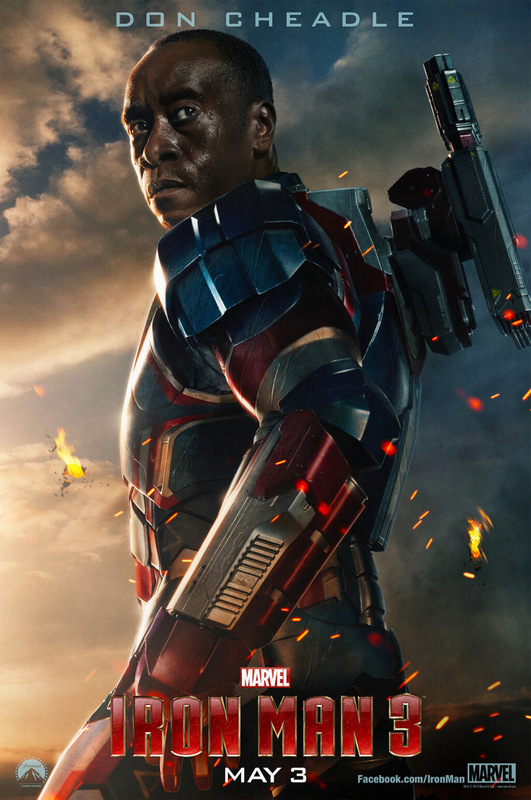 Check out this awesome new poster featuring War Machine/James Rhodes/Iron Patriot. Just stare at it and let it soak in all it’s awesomeness and know that this movie must live up to the incredible hype surrounding it! Will it be as crappy as Dark Knight Returns? or be more like the “Lord of the Rings Trilogy”? In case you missed it get amped up on this epic trailer below with snippets of our Black Superhero!! From the artists hands to God’s eyes I love this rendition of Don Cheadle as IronMan. Let’s hope now that it materializes! !